Get QuickBooks Online Plus for just $23.97/month vs. $39.95/month now on sale at Intuit.com for all new customers. You also have the ability to upgrade, downgrade or cancel your membership at any time (with no painful long-term contract). With Online Plus, which is their most advanced version, you get all of the features found in Online Essentials (retails for $26.95/month) plus the ability to track inventory and create 1099’s. No coupon or referral code is needed to take advantage of this sale price. The discount is valid for your first 6 months of service. Save on QuickBooks Pro 2016. If you don’t want to pay for a monthly subscription for Online Plus, then you may want to consider one of the 2016 desktop version of QuickBooks Premier. It will cost you a bit more upfront but you just pay once and you’re done. Some of the features may vary slightly but not very dramatically. Just remember that if you are on the go and like to work from multiple computers then the online version is a better choice as your not restricted to just one machine or operating system. See more for offer details and promotions. Buy 12-months upfront and save. Pick it up on sale at Amazon. 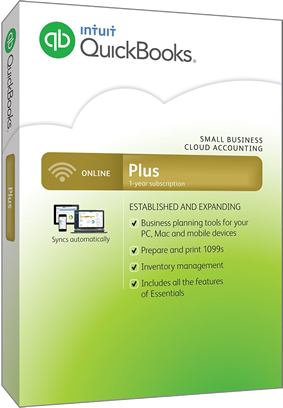 Amazon currently has the annual subscription version of QuickBooks Online Plus on sale for over 40% off the list price. That means you’re saving a cool $154.00 when you buy the entire 12-months of service upfront. You’ll also have the choice of receiving the physical box with the cd inside shipped out to you for free or the download version were you’ll be able to set up the software on your PC/Mac immediately after checkout. Just note that prices and options can vary daily and any of the posted sale prices are subject to change or end without notice. Sale prices may vary so be sure to see Amazon.com for more offer details. You can try out Online Plus or one of the other two versions free for 30 days at Intuit.com. You just need to be a new customer to be able to qualify. Unlike other free trials that simply expire automatically, you’ll need to remember to cancel your membership prior to 30 days if you decide not to keep it. No credit card is needed to try it out for free. Which QuickBooks version is right for me? We see this question pretty often and have put together a guide to help you choose between QuickBooks Online Essentials, Plus and Pro. Each version has something different to offer and vary in price. But whichever version that you end up going with, all of them offer up to a 60 day money-back guarantee if you change your mind or the option to upgrade your service (online editions only). Sign up to our exclusive release date email list and we'll let you know as soon as the 2020 desktop versions of QuickBooks are released. 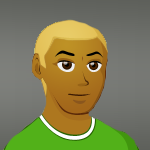 VIDEO: QuickBooks Online Plus - Saving with a Quickbooks coupon at SoftwareVoucher.com, Length: 3:22. Has an offer expired? Then let us know! We watch all of these QuickBooks deals and coupons on a daily basis (you’ll notice that we are the only site that specializes in software). But of course, we are human and sometimes something can change without notice. If you happen to see any expired promotions or a link is simply not working, then please let us know. We read and respond customer inquires on a daily basis (we love deals so much that we’re even working most weekends! ).